The opening of the Legoland Theme Park in Nusa Jaya, close to Singapore, on September 15 will see Malaysia offer another exotic tourist draw. Many are familiar with Lego blocks, where individuals, particularly children, can display their talents in showcasing their creativity. 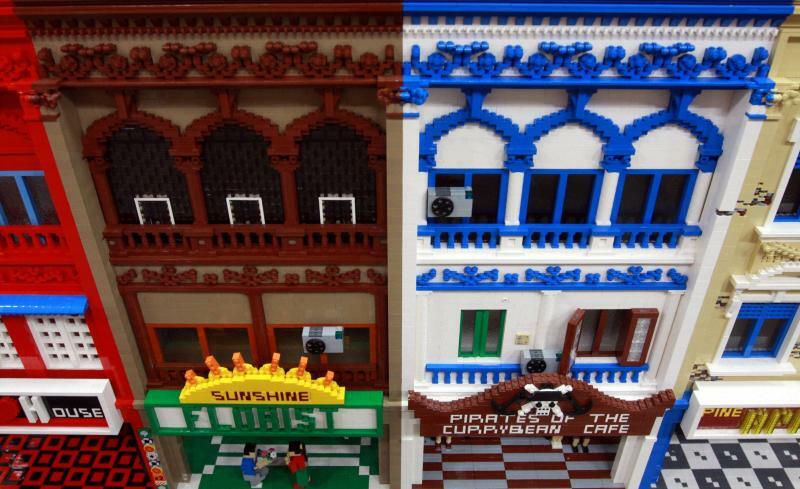 The theme park, which utilises close to 50 million Lego blocks, offers visitors the chance to view unique displays of these pieces, as well as opportunities for the whole family to build on their talents for creativity. 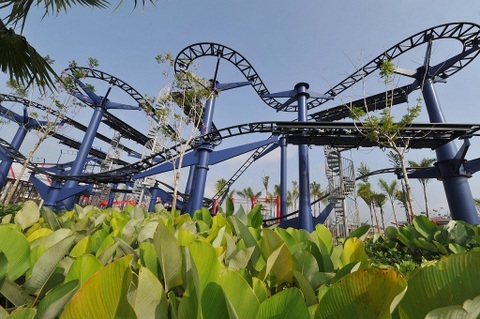 Built on almost 30.8 hectares, Legoland Malaysia is the sixth Legoland theme park in the world and the first in Asia. 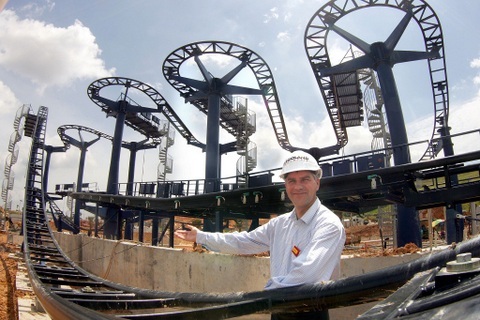 According to Legoland Malaysia general manager Siegfried Boerst, the B7 billion theme park located in Iskandar Malaysia economic region is almost 90 per cent completed and scheduled to be opened Sept 15. He said this theme park showcases seven parks, including 'Lego kingdom', 'Imagination', 'Land of adventure', 'Lego technic', 'The beginning', 'Lego city' and 'Miniland'. The parks are specially designed for families with children aged two to 12 years old. Legoland Malaysia was developed by Merlin Entertainments Group, the world's second largest theme park development firm. The firm inked a deal with Iskandar Investment Berhad (IIB) in December 2008 and construction began at the end of 2009. "Legoland Malaysia is similar to that in Germany, as the technology used is the same as that utilised in Legoland Florida. 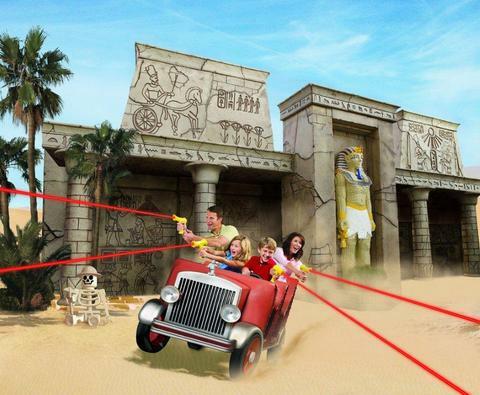 Hence, Legoland Malaysia is among the best Lego theme parks ever built," said Boerst. Among the facilities that will be available at the theme park are restaurants, surau and parking bays. 'The Big Shop', which is the largest premises that sells Lego products in Southeast Asia, will be located next to the main entrance of this theme park. Three games are specifically offered for children below 11 years old. They are City Fire Academy, Driving School and Boating School, though children need adults to be present while playing these games. In 'City Fire Academy', a team of four, including two children and two adults, will compete with another team to put out a fire, while in 'Driving School' and 'Boating School', children will be allowed to man a small vehicle and a small boat. In 'Miniland', visitors feel like 'giants' walking among Asia's miniaturised landmarks, such as the 10-metre tall Kuala Lumpur Twin Towers, Taj Mahal and Angkor Wat, as well as other structures. "In Miniland, local talents are involved, as 20 Malaysians were in the group that created the structures," said the general manager. There is a roller coaster named Dragon Coaster that brings visitors into the Lego palace in Lego Kingdom that houses a torture chamber, royal dining room and a treasure chamber guarded by a dragon! Also, children can try out their talents at the 'Imagination' park by building with the available Lego pieces. There is also a 50-metre high watch tower. Boerst, who has more than 20 years experience in this industry, said there are plans to create a wet park next year and a hotel in 2014. He added that development of Legoland Malaysia offers 1,000 job opportunities for Malaysians, where the locals are bound to benefit from the economic activities generated by this theme park. 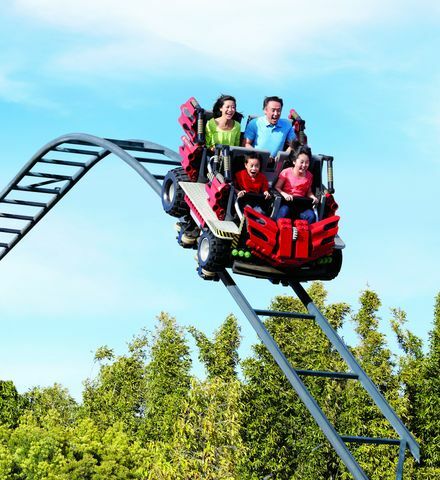 More than 45,000 season passes, valid until 2013 at RM245 (B2,450) for an adult and RM180 (B1,800) for a child, have been sold, he said, adding that MyKad holders are entitled to an RM30 rebate at the entrance. Introductory promotions for daily entrance tickets costing RM96 (B960) for adults and RM70 (B700) for children are being sold. 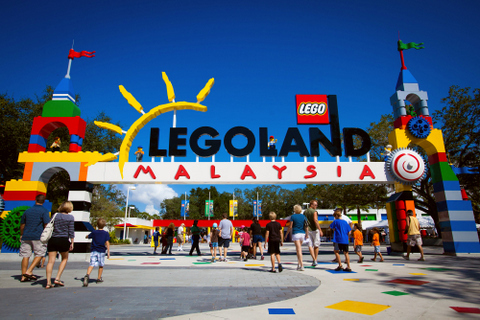 Boerst said about one million visitors are expected during the first year of Legoland Malaysia's operations. Meanwhile, Assistant Director for Johor Tourism Department, Amirul Asyraf Ibrahim, said development of Legoland Malaysia would further secure the country on world tourism maps. He said apart from this Lego theme park, Iskandar Malaysia will also offer a cartoon-based theme park in Puteri Harbour, as well as a movie-making studio.